With Seattle Improvised Music, we are pleased to co-present the appearance of German improviser Andrea Neumann at the 22nd annual Seattle Improvised Music Festival. She performs on Friday at 10 PM in a quartet with Gust Burns (piano), Nate Wooley (trumpet), and Jeffrey Allport (percussion). On Saturday she plays solo at 8 PM, and at 9 PM in a trio with Nate Wooley and Tatsuya Nakatani (percussion). In the process of exploring the piano for new sound possibilities, Andrea Neumann has reduced the instrument to strings, resonance board and metal frame. With the help of electronics to manipulate and amplify the sounds of her custom-made lightweight piano innards, she has developed numerous new playing techniques, sounds, and ways of preparing the dismantled instrument. 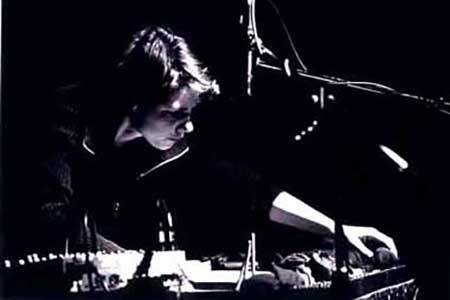 She has worked intensively in the crossover area between composition and improvisation, and in the field between electronic and handmade sounds, with Berlin musicians such as Annette Krebs, Ignaz Schick, Axel Dörner, Robin Hayward and Burkhard Beins.